A complete and easy-to-follow guide for inspiring every student with the power of growth mindset Created by teachers for teachers, this is the ultimate guide for unleashing students' potential through creative lessons, empowering messages and innovative teaching. 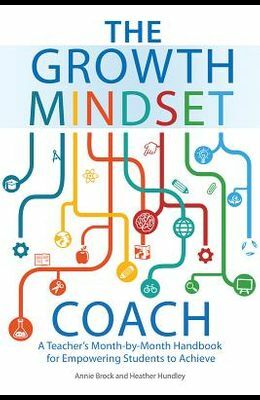 The Growth Mindset Coach provides all you need to foster a growth mindset classroom, including: - A Month-by-Month Program - Research-Based Activities - Hands-On Lesson Plans - Real-Life Educator Stories - Constructive Feedback - Sample Parent Letters Studies show that growth mindsets result in higher test scores, improved grades and more in-class involvement. When your students understand that their intelligence is not limited, they succeed like never before. With the tools in this book, you can motivate your students to believe in themselves and achieve anything.